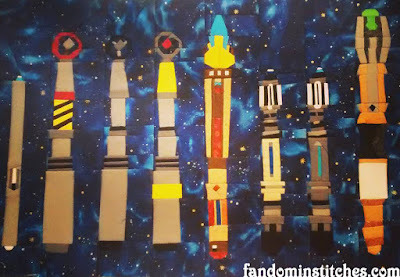 Today we share an update to Gretchen's original Sonic Screwdriver collection (above, Part 1). Make the Sonic Screwdriver (or Cane!) of your favorite Doctor, or combine them all!